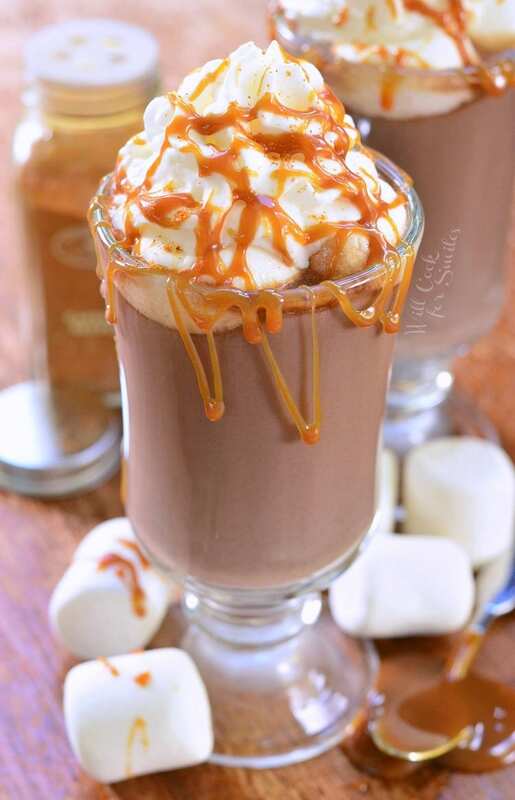 Sweet, creamy, and soul-warming butterscotch hot chocolate for the whole family. 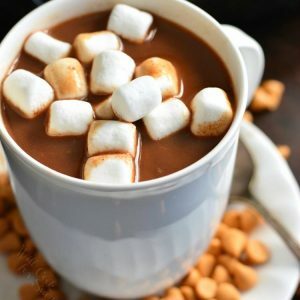 This hot cocoa is made in a slow cooker, which is perfect keep the cocoa warm during family dinners and parties. Now that Thanksgiving is over, Christmas is in full swing! My best friend calls me “the crazy Christmas lady” but I am not even that bad. So many of my neighbors had their houses fully decorated and lit up the day after Thanksgiving (some even the day after Halloween), and I waited a full TWO days after Thanksgiving to get our tree and start decorating. Last Sunday, we got our beautiful, fresh Christmas tree. The scent immediately filled the house and it truly started to feel like the holiday season has arrived. My absolute favorite part of the holiday season is the Christmas tree all lit up with twinkling lights and decorated with the most random ornaments. When it comes to our Christmas tree, it’s a memory in itself and not a perfectly organized and color matched house decoration. We have ornaments that date 15 years back when my husband and I started dating. Each ornament means something different and each one has a memory attached to it. Ornaments from our wedding year, from our honeymoon, from the year our kids were born. We have ornaments to remember all our pets and ornaments given to us by family and friends. Each one remind us of a special person or occasion. So as gorgeous as a perfectly color-coordinated Christmas tree might look in a magazine, I still want my tree to be completely chaotic but full of sweet memories. I’ve mentioned before that little traditions are very important to me during the holidays. One of my favorite traditions has been our “decorating day.” When my baby sister was still little, she used to stay with my husband and I for the weekend after Thanksgiving and we would have a “decorating day” on Black Friday. I never went out on Black Friday because we used to live between Target and WalMart and right across from a mall. You can’t even imagine the horror that was happening on the streets that day. So we stayed put and decorated. We always made Peppermint White Hot Chocolate, which is my sister’s favorite, put up our tree and spend the day decorating, drinking hot cocoa, and watching Christmas movies. Now my sister is 17 (still cringing at the thought) and busy with events and friends. This year, she was actually in New York, performing in the Macy’s Thanksgiving Day Parade. So we had a decorating day without her. I still made hot cocoa and we watched Christmas movies as we decorated the tree. We missed her terribly but super proud at the same time. 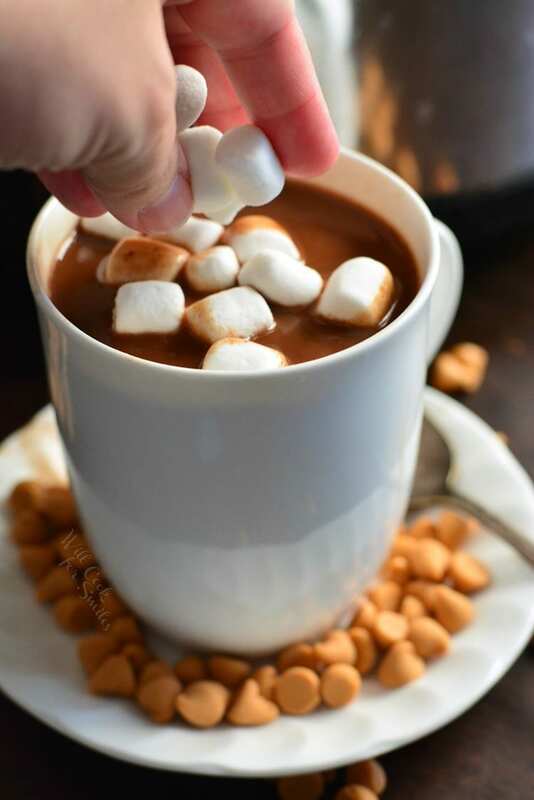 This year, I made us Butterscotch Hot Chocolate and I made it in a slow cooker. 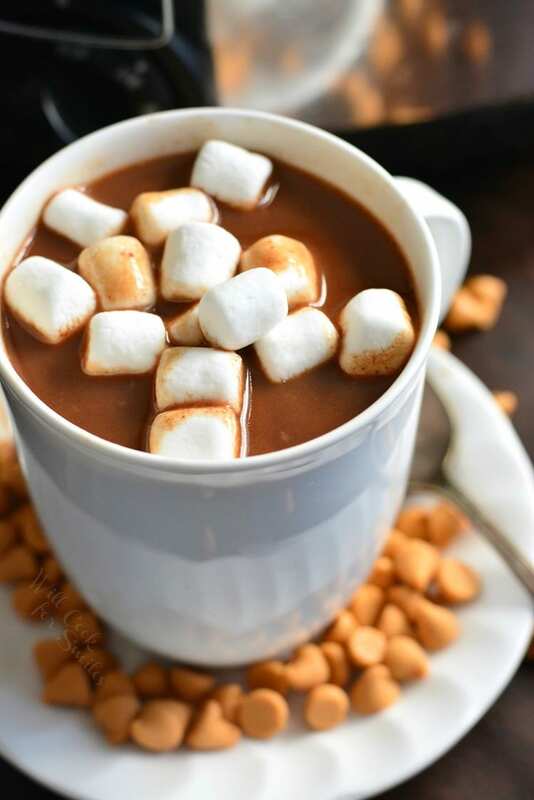 Making hot cocoa in a slow cooker is perfect because it will keep the whole big batch warm while we are leisurely enjoying the evening. I actually use my slow cooker quite often during the holidays. 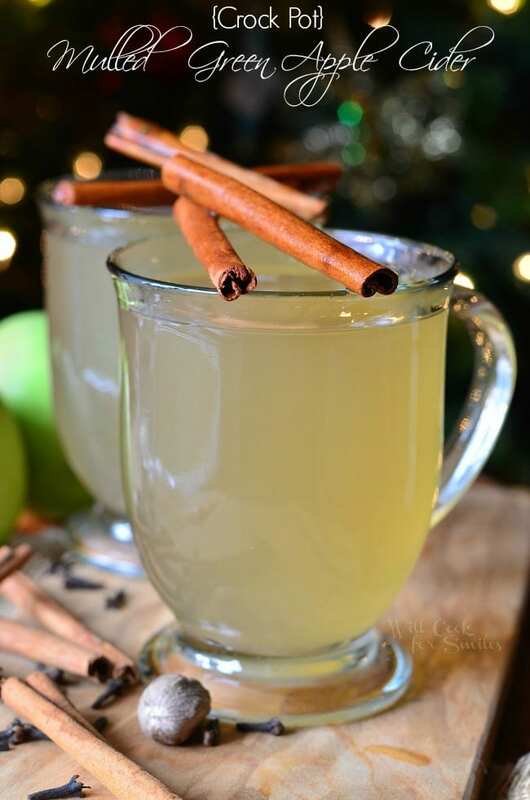 It’s perfect to keep hot cocoa, apple cider, and mulled wine warm during the parties. It’s also perfect to keep my meatballs warm during the parties. There are many more hot cocoa evening in front of the Christmas tree to come. I can’t wait! 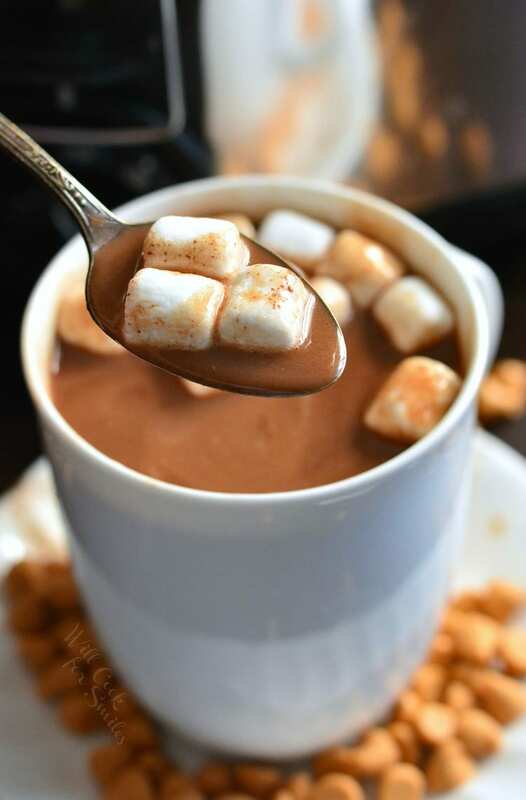 Sweet, creamy, and soul-warming butterscotch hot chocolate this hot cocoa is made in a slow cooker. 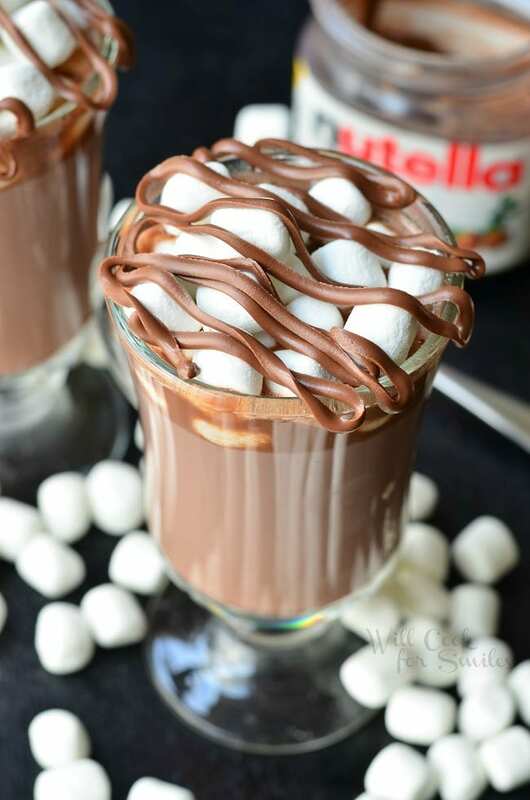 ~You may choose to use whole milk, reduced fast milk, or skim milk for this hot cocoa. 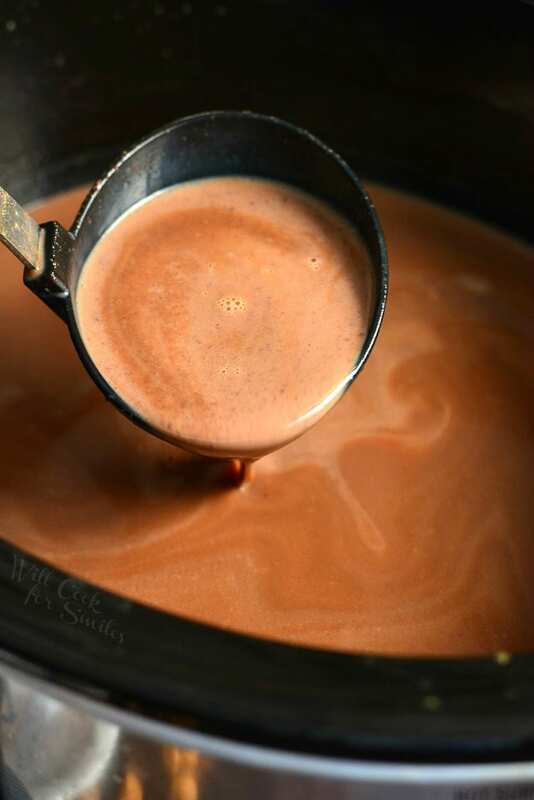 Combine milk, heavy whipping cream, and vanilla extract in a slow cooker. Add dark chocolate chips and butterscotch chips. Stir, cover, and cook on low for 2 hours. Stir the mixture periodically and use a rubber spatula to make sure the chocolate at the bottom gets stirred well. 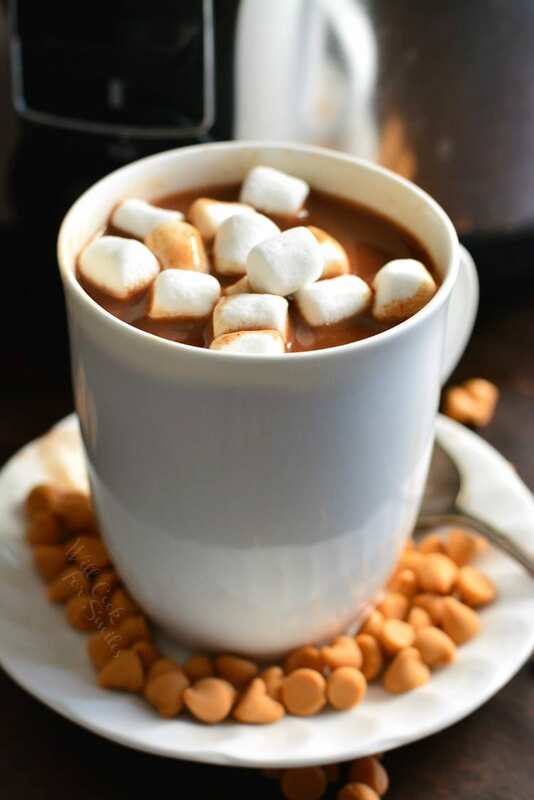 You can serve this hot cocoa in a slow cooker set on "warm" setting.